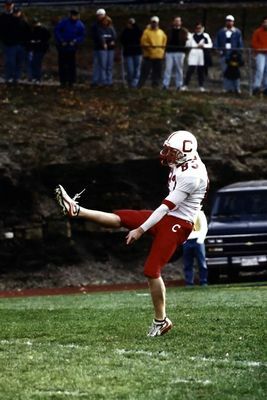 Cortland's #83 punting the ball. Cortaca Jug. Cortland defeated Ithaca 26-21.